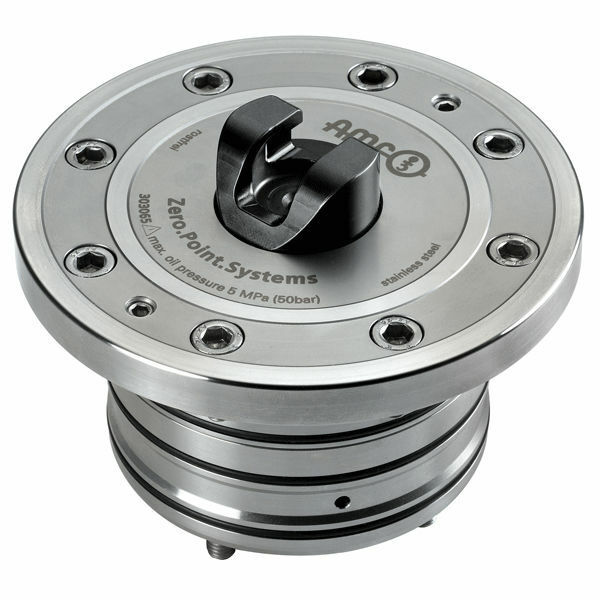 The Horizontal Rapid-Clamping Cylinder, manufactured by AMF Andreas Maier, is capable of operating at a pressure ranging from 50 bar up to a maximum of 60 bar. This cylinder has an hydraulic opening. In addition, it is also equipped with a hardened piston and cover. The repeatability of this cylinder is < 0.005mm.